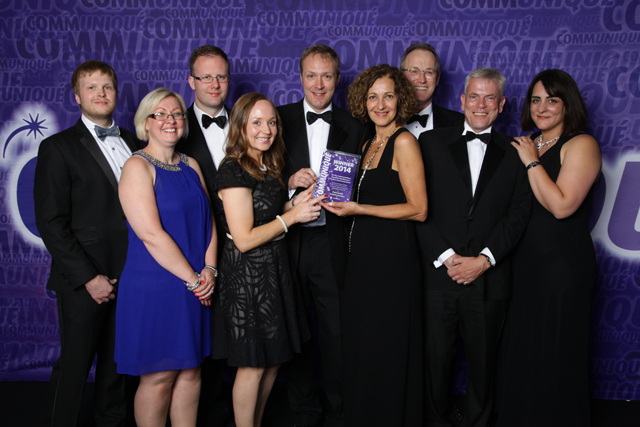 Clark Health Communications (CHC) won the prestigious Communiqué Award for Excellence in Product Communications last night for their programme to launch a new treatment for alcohol dependence in the UK. CHC, an independent health and medical communications consultancy, was also a finalist for their entry for Excellence in Professional Education Programmes. Set up in 2011, CHC was founded by Jeremy Clark who has worked in the industry for nearly 20 years, leading teams in agencies including Cohn & Wolfe and Huntsworth Health. Over the last three years CHC has grown rapidly, securing clients in Women’s Health, Parkinson’s Disease and Alcohol Dependence. Jeremy recently recruited Account Director Sarah Newman (Mckinnon Clark), formerly at Galliard, as his first full-time employee to manage the agency’s business in Women’s Health and Alcohol Dependence. “I’m thrilled to be joining at such an exciting time for Clark Health Communications and to be part of developing the business and our team at this early stage,” said Sarah. Clark Health Communications launched its new company branding and website at the Communiqué Awards. For further information on who they are and what they do, visit www.clarkhealthcomms.com. You can also say hello@clarkhealthcomms.com or call the team on +44 (0)203 574 4768. Today, the independent and multi award-winning consultancy Clark Health Communications (CHC) introduced Delivering ChangeTM, a robust and evidence-based planning model developed following both quantitative and qualitative research into the ever-evolving needs of those working in pharmaceutical marketing, medical and communications functions. Clark Health Communications (CHC) the growing independent London-based agency is ecstatic to be named the ‘Small Consultancy of the Year’ and to be shortlisted for ‘Excellence in Communications via Meetings’ at the prestigious 20th annual Communiqué Awards.